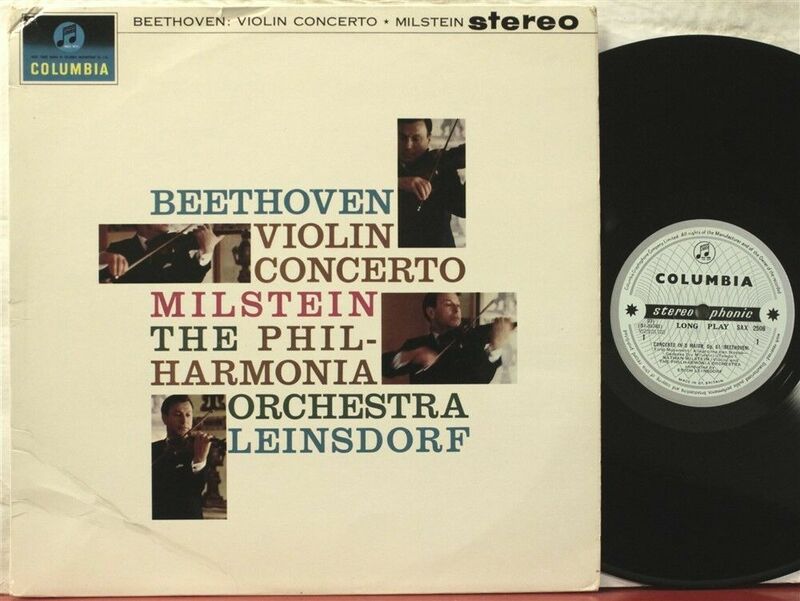 SAX 2508 B/S Milstein, Beethoven violin concerto, Leinsdorf, Philharmonia Orch. EMI Columbia Records stereo SAX 2508. First blue and silver label disc pressed in England. Laminated flipback jacket. Nathan Milstein plays the Beethoven violin concerto, op. 61, with Erich Leinsdorf and the Philharmonia Orchestra. See pics for program details. Disc plays NM, play-tested all the way through. Very quiet surfaces, virtually no surface noise. Visually NM-, a couple very faint marks have no effect on play. You will be very hard pressed to find a better playing copy of this great recording. Jacket VG+, upper left corner bumped.